Wifi - The problem is postion and hardware! 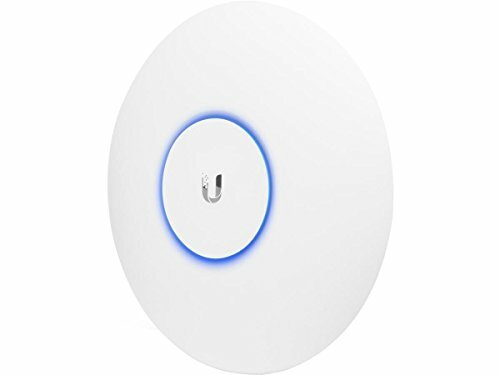 The problem with Wifi in most homes is the location of the access point. For example most internet providers bring the internet into the home in one of the corners of the home, unfortunately never the center of the home. The main reason for this is due to the complexity of running wires in an existing dwelling. This device does require ONE cable that both supplies power and data to the device. This device is easily attached to a ceiling or wall, and the LED light can turn off completely. Usage testing: I have had this device installed for a few days now. So far testing has shown that the one wifi broadcast works well to allow more advanced devices to take advantage of the 5ghz frequency automatically! This means that now my Chromecast, Phones, Laptop, and my wife's NUC all have close to 400Mbps wireless connections throughout the house. The other side benefit from using a different frequency than most is the lack of interference on those channels. The 5Ghz frequency really does a great job of getting the video content to the TV in a timely manor. For those with older devices, it still works like a charm using the slower but longer reaching 2.4Ghz channel. This is the best work laptop out there, well assuming you really are not looking for a 2in1 type system. This laptop is rugged to the point I have watched videos on YouTube where the person is chucking it down concrete stairs, and yes it did survive albeit with a few nicks here and there ;) The real secret to speed with modern computers is the ability for the system to retrieve information from the disk as fast as possible when it is needed. 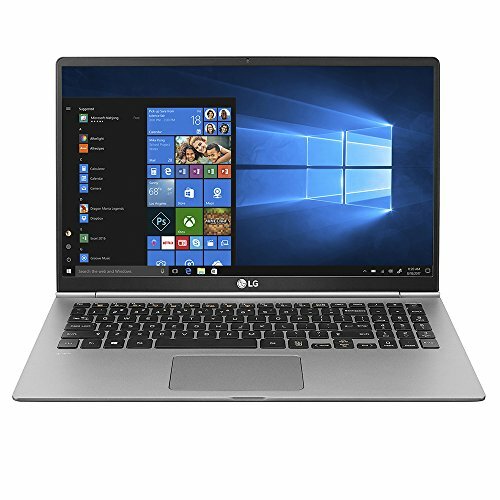 If you have ever seen a computer boot in under 60 seconds, it is most likely running something similar to what this laptop is sporting, a ssd (Solid State Drive). The other major boon from this technology is the resiliency of ssd drives over the classic hard disk drives, hdd. A ssd doesn't have moving parts which makes this a great portable machine. It is also worth noting that the classic hdd is what normally fails on a laptop before any other component! The only downsides to this machine are the camera angle, which looks up at you from the bottom of the screen. This is still sufficient for work purposes, and given that I rarely make video calls I didn't fret over this detail. The other is that the audio on the laptop isn't the greatest, but what laptop ever had great audio?! To make up for this last downside the audio processor included is a good one, making it worthwhile to get a good pair of headphones for this laptop! Advanced: I am able to run virtual machines using Oracle VM VirtualBox and it is super fast! Now, with loading up virtual machines, it is also important to note that the storage is a standard m.2 slot and the storage is replaceable/upgrade-able! There is also one ram slot for upgrading, although half the ram is soldered on the other side of the board. The ports on the side are also replaceable without too much headache, as well as the battery. They didn't use a lot of glue which makes this laptop a breeze to work on! When it comes to gaming there are a few aspects of the screen I focus on, response rate and refresh rate of the screen. The resolution, aka amount of dots on the screen is also important but less so when I am judging screens. The response rate for fast action games is always best as low as possible! This monitor has an amazing refresh rate of only 1ms! This means when moving at high speeds there is not ghosting of the image as it flashes across the screen! Secondly the refresh rate is important for smoothing out the action, and is as important or more important than the refresh rate. This screen sports a 144hz refresh which is just amazing for fast paced action! Lastly the resolution. Ok, we have 4k and even up scaled 8k screens at the time of this post, but there is a huge issue with those resolutions.... Video game content is very hard to render smoothly at the proper resolution without building a monster computer! I still prefer to keep a standard 1080p resolution for gaming until our graphics cards are up to the task of running titles smoothly at the higher resolutions. Another item of note is that Windows 10 is still horrible at rendering windows with proper DPI scaling, so that is another mark against the higher resolution screens. In any case this wonderful monitor is 1080p, which is exactly what I wanted! Last but not least, taking advantage of higher refresh rates and having a smooth image is more important than more dots! P.S. This is a quantum dot display. 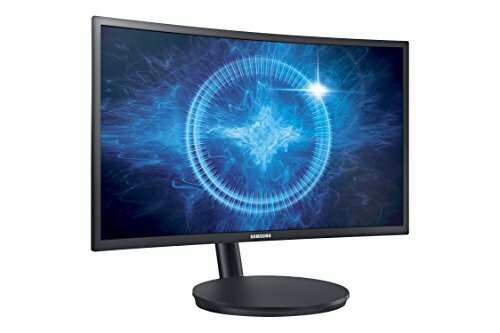 To simplify it has an extra layer in the LCD panel that allows this monitor, while not a perfect black, to achieve a much darker black than a standard gaming lcd. Best belt ever!!!!!! - Best of all one size fits all?! I also really like the new concept for belts that do not have belt holes! I appreciate the ratchet system on the back side of the belt as it makes the look very crisp without all the traditional belt holes. I have worn these belts in the past, and they do fit much more accurately and comfortably with the ratchet system. I also own their survival belt and wore it for months before purchasing and trying the leather belt above. 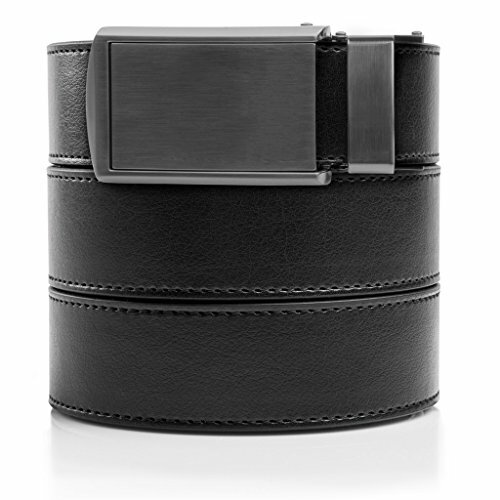 The survival belt is not only a belt, but a useful device in the wilderness. The survival version includes a small led flash light, a fire starter, and a small blade concealed in the belt buckle. Fishing and forgot to bring a knife, No problem! Need light camping out in the woods, No problem! I have to say I have enjoyed owning this belt for camping trips =) Unfortunetly, they do not sell this product on Amazon at the time of this post, I hope that becomes an option in the future. For now here is the direct link to SlideBelt's website. Sand, sand, sand! Should stay at the beach... right? I don't know about you, but I am tired of my beach towel covered in sand that just won't shake lose. 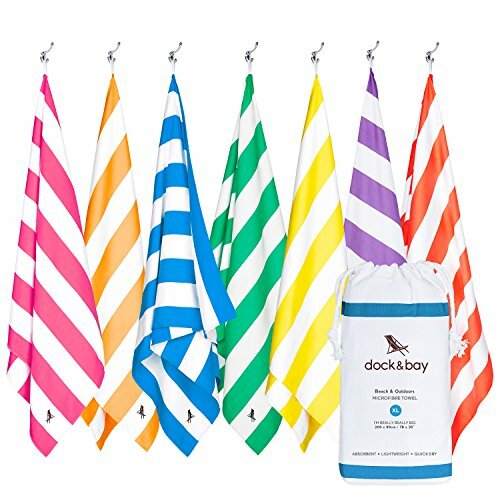 Finally I have found a beach towel that not only repels sand like a champ, but it also dries super fast! They come in many varying sizes and compact into their travel cases fairly easily. This is my new go to beach towel! Portable sound for the beach / pool / vacation or really anywhere that actually works! Before getting into this product: I would just like to say I tried a budget speaker, and I am not going to even tell you which one. It was really bad! Not to say that this speaker is expensive, but going much cheaper was not a good idea! 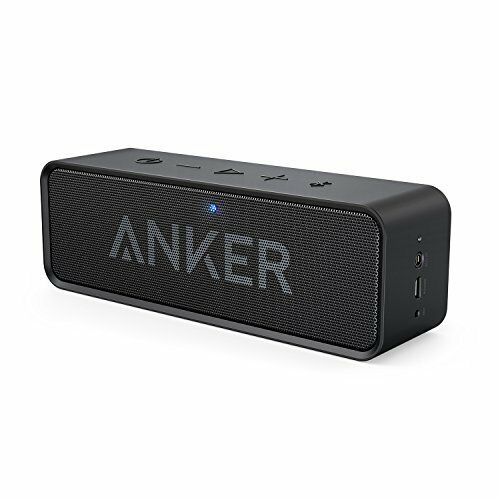 Luckily after my first failed attempt I found that Anker was getting great consumer reviews across all their products and decided to try their Bluetooth speaker. It paired with my devices in seconds, and switching the pairing to another device was just as simple with the Bluetooth button on the machine. I was very surprised as not all devices pair this easily! I haven't actually timed how long it will play for, but it is a LONG time, and it can play sound while it is charging. This alone should alleviate the worry it won't have juice when you need it. When paired with Bluetooth the volume control is done from the phone / tablet / computer. I love to have the remote volume control as the Bluetooth range is rather large for this speaker. Lastly, the audio quality: It is rather remarkable and LOUD for such a little box. If you want a nice speaker for the car, pool, or even travel as it is very compact, I would buy this product again in a heartbeat! Wine is great to share with others, but what happens if you want one or two glasses with dinner? Often, the wine sits on the counter slowly decaying. Some call it a "vinegar taste" that wine develops after it has been exposed to air for the first time. This tricky bit of wine culture often led to waste in our household, and I went looking for something to solve that need. We shouldn't have to toss a half bottle of wine because we didn't drink it fast enough to combat time and air's effects. 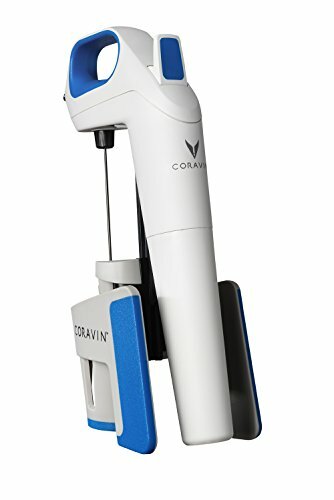 On a recent trip to Napa, my wife and I noticed they were using this contraption in some of the tasting rooms. We immediately found that this little device uses argon, an inert gas, to fill the wine bottle without actually opening it. The benefit is exactly what we wanted, one to two glasses without ever opening the bottle to air. Imagine sharing a bottle of wine for weeks rather than just days! The only downside I see is the need for the argon canisters, but luckily they seem to last quite a long time! Anker USB charger - Charge those devices! Charging devices in this age is a complicated matter. The problem is that all our devices require different levels of power transmitted across cabling that if made poorly can damage your devices! The good news is there are some companies with very affordable prices of products that will satisfy the most power hungry devices, and without cheating on the build quality at the same time! This charger (depicted right) is capable of charging multiple devices from a cell phone all the way up to a USB-C laptop such as a Chromebook pixel. It is always advisable to use the cable that came with your phone, but it is safe to order Anker or Amazon Basic cables for replacements. Those cables are safe to use and won't break the bank or your device! I have tested the previous model of this charger and I never had any problems with it. I have just recently upgraded to this new model and it is performing as expected, great! 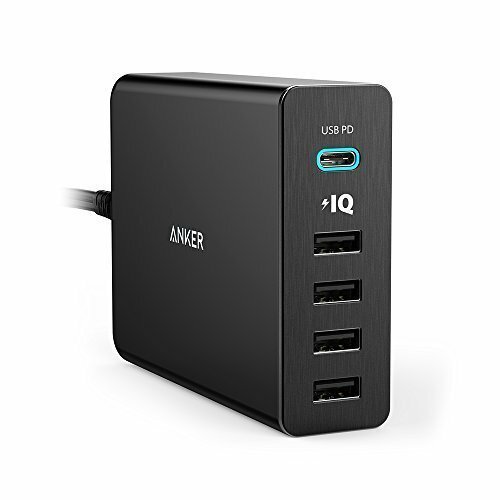 If you are in need of more charging in your home, or a central place to charge all your devices without filling up wall outlets, this is the device to purchase! My criteria for purchasing these headphones and thoughts on the final product chosen for a wireless headset with retractable microphone. This time I am using traditional cooking methods and making an amazing, moist, cheesy burger! Now I know most of the time we eat beef or even maybe buffalo, but this time we are going to try ground lamb! Let's start by checking out the recipe! This will make approximately 8 burgers and halving the recipe does work well for those who want a smaller batch! In a saute pan over medium heat cook onions in a few Tablespoons of olive oil over a medium heat (make sure not to pass the flash point of the olive oil or it will get smoky in the kitchen). Cook until almost translucent (approx 3-4 min), then add garlic to the pan as the onions finish. Cook for 1-2 min, and revel in that amazing garlic smell! Gently knead onions/garlic mixture, lamb, egg, bread crumbs, salt, pepper. Bring the oven to 350 Degrees! Roll them into balls and smooth the outside by using a circular motion with your hands. Once they are round flatten a bit into the traditional burger shape. Use your thumb or a spoon to depress a well into each burger. Portion your goat cheese into the wells. Next fold the burger over the center well and reform into a ball and flatten. Make sure that they cheese is sealed in well! Bring a pan to medium heat and brown 2 tablespoons of butter. Once the butter is ready place your burgers into the pan and sear for 3 min. Flip the burger and sear for 3 more min. Transfer burgers to a oven safe tray and place them in the oven for 10 min. This ensures a even cook through the middle of the burger! The image on the left is what my finished burgers looked like while searing the first side in the pan! The image on the right shows the nice browned side of the burger while the other side is finishing. Now after all this hard work, this is what we are looking for! An amazing decadent burger with a cheesy inside! For those interested in the pan I am linking it here on the right. I purchased this pan around a year ago, and I am very impressed with the quality and the way it holds heat off my electric stove. I find that getting the perfect browned butter is very easy! For those advanced users: I have taken the pan after searing the second side and placed it directly into the stove. REMEMBER to use a pot holder when removing after 10 min, the pan is VERY hot, and I have the burns to prove it. The benefit is that the burgers continue to cook in a hot pan with all that delicious butter. Let's start off with cooking! I know, I know, this is a technology website, and we are starting off with cooking? These days technology is invading more and more areas of our lives, and hopefully we are taking advantage of this great evolution of products! This is my first post and will include some information as to why I do things certain ways, usually in an effort to speed the process up. I am hoping that some of the techniques I have adopted can save you time and effort as well! Easy Cleanup - actually there isn't any cleanup! Everything is sealed in vacuum or Ziploc bags which you can simply toss. Very Accurate - you can't mess up the cook times - Well maybe if you forgot it for multiple HOURS, but minutes won't hurt you here. Have you ever shared a recipe with a friend only to have it turn out differently due to oven temperature variance or elevation? Those are not concerns with this cooking method. Fast - OK, when I say fast I should clarify the cooking might take a bit longer than traditional methods, but it is hands off! You can definitely go take care of other chores while the food is cooking. The fast part comes in when you have your prep done and you simply place a food pouch in and set a timer! For those techies, you can definitely use the app on your phone and monitor the cook remotely! So how does this funny looking sous-vide contraption work? Sous-vide is French for "under vacuum". I know many have used the Food-Savers products, or at least heard about them. I remember seeing vacuum sealers on demonstration at Costco before and they are nifty machines for preserving food. For those that don't know about vacuum sealing technologies, look for my upcoming post where we will discuss the vacuum sealers in greater detail. When it comes to sous-vide you don't necessarily have to vacuum sealer. Many times you can use a simple food-grade freezer style bag, Ziplock makes these products and you can find them in any grocery store! For those of you thinking about getting started with this new technique, I urge you to get the machine and start right away with Ziplock, you can always upgrade to a good vacuum sealer later! Once I had a scale, it is simple enough to place a clear bowl on the scale and tare (by hitting the zero button the scale, the weight of the bowl is removed). Once I have a scale with a 0 showing, I can simply pour in Dijon Mustard until the scale reaches the appropriate number and then tare again! Following this simple loop I can quickly get the marinade into a bowl and use no measuring cups, which means a faster cleanup! Woot! So what I have some sauce, now what? When using Ziplock bags, it is still very important to remove the air from the bag before submerging it in the sous vide. This can be done by slowly lowering the bag with the chicken and marinade into water. The water pushes the air from the bag, and JUST before you submerge the top STOP. Carefully seal the Ziplock bag and seal all your wonderful chicken goodness in! Now that you have your chicken in marinade and sealed into a bag, you can hold onto that in the fridge until you need it, be sure to not leave raw chicken in there longer than allowed by food safety authorities. Now, if you are cooking it right away you can go right ahead, although I prefer to let it sit in the fridge for about 2 hours minimum. The final step is to set the temp on the sous vide for 150 Degrees F, and let it cook for a minimum of 1.5 hours. You can leave it in there for up to 3 hours without changing the texture too drastically. Congratulations on cooking chicken that is not over cooked! The next step is to think about the flavor and texture you achieved. The amazing part of sous vide cooking is that you can make that chicken taste the same exactly every single time. That sort of consistency is what restaurants can only hope to achieve! Even better you can now adjust the temperature and cooking times, again refer to safe cooking duration recommendations. What I mean by adjust, is that you can pick how tender or stringy (as chicken gets most of the time in traditional cooking methods), and write down the temperature and time to achieve your perfect chicken. Another great aspect is that anyone can follow your steps without assistance and end up with the same result as you, since we are cooking with the temperature of water! I know that not all of you will love my simple recipe given that everyone's taste buds are different, but I challenge you to come up with a better combinations of flavors and temperature for cooking chicken. Let me know what you achieve! I have never tried to put my thoughts into words, but I have been experimenting with some various technology and cooking gadgets that some of my clients are enthusiastic to hear about! Given the interest in my experiments and the fact I only see a handful of people a day, I thought it was time to put some of this down on paper so to speak! What are we going to discuss? Mostly I plan on focusing on my current efforts with gourmet cooking, technology products for home/business, and various experiments with IoT (Internet of Things, ie. Google's Nest - Home Thermostat) devices as they are becoming more prevalent and cheaper the more technology is shrinking. I say "we" in hopes that the comment section can stay open with minimal work to keep trolls from just trying to stir the pot. I look forward to fruitful comments and maybe we can have a discussion about my ramblings on this site. With good discussion sometimes you can expand your horizons even more! Thank you for taking the time to read my blog and I hope you like the content that I publish! I am not positive on how often I am going to publish articles at this time, but when I figure that out I will let you know!